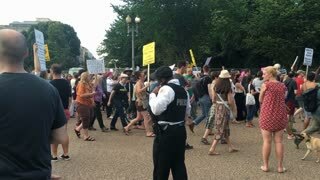 Search Results for "donald trump"
WASHINGTON, D.C. - Circa August, 2017 - Anti-Donald Trump protesters chant and march outside The White House after the tragic events in Charlottesville, Virginia. 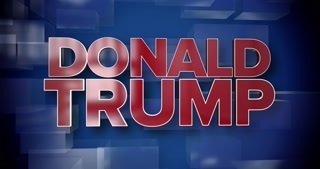 A red and blue dynamic 3D Donald Trump news title page animation. Donald Trump speaks at Arkansas GOP dinner. 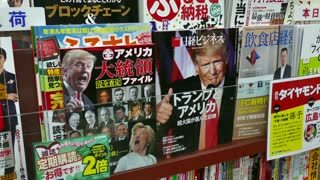 Donald Trump on international trade and presidential polls. "Trump won the poll... I won hispanics and the poll in the state of Nevada." 1080p HD. 2018 - a Donald Trump impersonator wearing high heels scorns and rejects a child on the streets of London to protest the visit of U.S. President Donald Trump. 2018 - protestors sign a large wall with messages to Donald Trump on the streets of London to protest the visit of U.S. President Donald Trump. 2018 - a priest holds a sign comparing Donald Trump to Jesus during a mass protest on the streets of London to protest the visit of U.S. President Donald Trump. Donald Trump speaks at Arkansas GOP dinner. Donald Trump on other politicians and his status in the presidential polls. "Politicians are all talk and no action." 1080p HD. Donald Trump speaks at Arkansas GOP dinner SOT 1 of 7. Donald Trump on Ford Motor Company's plan to build manufacturing plants in Mexico. SOT Part 1 of 1080p HD. Donald Trump press conference. Donald Trump on Jeb Bush's and Hillary Clinton's presidential campaigns. "I don't owe anybody any favors." 1080p HD. Donald Trump press conference. Donald Trump on Hillary Clinton. "Wall Street is backing Hillary... She's going far left until the nomination and then veer away." 1080p HD. Donald Trump speaks at Arkansas GOP dinner. Donald Trump on the Iran Deal and John Kerry's lack of negotiation skills. 1080p HD. 2018 - protestors hold a sign identifying Donald Trump as a fascist during a mass protest on the streets of London to protest the visit of U.S. President Donald Trump. Donald Trump speaks at Arkansas GOP dinner. Donald Trump on United States' relations with Iran. Wide shot at the Arkansas GOP dinner 1080p HD. Donald Trump speaks at Arkansas GOP dinner. Donald Trump on the second amendment and Chattanooga shooting. "Let's get rid of these gun-free zones." 1080p HD. Donald Trump press conference. Donald Trump meets and greet fans. Take pictures with supporters. 1080p HD. NEW YORK CITY - NOVEMBER 8, 2016: People head to the polls to decide to vote for Hillary Clinton or Donald J. Trump. Little do they know what Donald Trump will win. NEW YORK CITY - NOVEMBER 17, 2016: View of Trump Tower from Park Avenue below. President-elect Donald Trump is taking transition meetings at Trump Tower as long-term security plans are mulled. London protests Trump's visit, Friday thirteenth July. 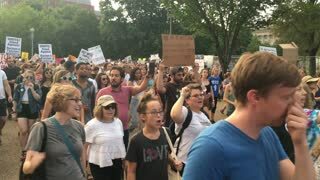 Thousands of protesters marching against Trump. Satirical costumes of Theresa May and Donald Trump. President Donald Trump, First Lady Melania Trump and youngest Barron Trump, depart the south lawn of the White House on Marine One on March 8, 2019. Stop Trump - Election poster of anti Trump, pro democrats; effort to elect democrats to congress to counter Donald Trump. CHICAGO, IL-November 9, 2016. Post election Trump Protest. Thousands of citizens and activists gather/chant at Trump International Hotel and Tower to protest the Donald Trump election win of 2016. Jan. 29 2017 Trump Muslim ban protest, Washington, DC. 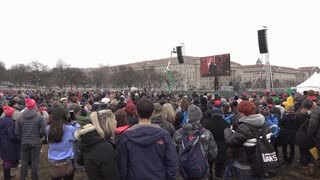 Marching on Pennsylvania Avenue toward Trump International Hotel, protesters take to the streets in response to Donald Trump's Muslim ban, extreme immigration & refugee edicts. 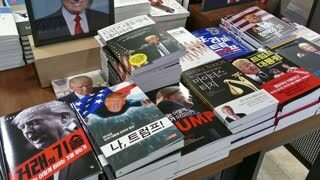 2018 - U.S. President Donald Trump holds a disastrous and much criticized press conference with Russia Federation Vladimir Putin following their summit in Helsinki, Finland. Putin says he directed agents to help campaign of Trump. 2018 - Tennessee Senator Lamar Alexander advises U.S. President Donald Trump on supercomputing, Ivanka Trump and Susan Collins visible. 2017 - U.S. President Donald Trump and Israel Prime Minister Benjamin Netanyahu exchange remarks during the Presidential visit to Jerusalem. Trump is congratulated for having vision about Iran. HELSINKI, FINLAND - JULY 16, 2018: A lot of people filming the motorcade Donald Trump on the streets of the city using smartphones. Meeting trump and Putin in Helsinki. 2018 - U.S. President Donald Trump and first Lady Melania Trump welcome the King and Queen of Jordan for a state visit at the White House. 2018 - Highlights of Donald Trump and Melania Trump visiting the United Kingdom. 2018 - U.S. President Donald Trump praises Boris Johnson with the press with Melania Trump. 4K video. Bobblehead of Donald Trump, President of the United States. Close up on Trump's face. 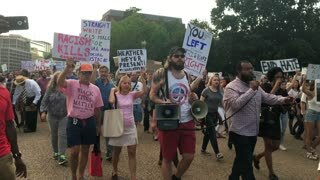 Protestors mock Donald Trump in an anti-Trump rally in Washington DC.